Hydraulic Snubbers for a Construction Site | Piping Technology & Products, Inc. Piping Technology & Products recently designed and manufactured three hydraulic snubbers for a construction site in Louisiana. 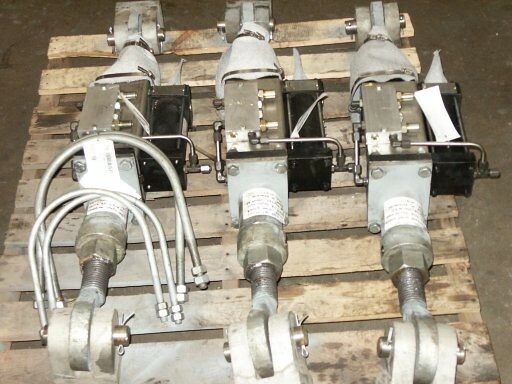 These snubbers, with an operating load of 3500 lbs., are 2.5 x 6 and allow for 4 of total travel distance. The lock-up velocity test was performed on these snubbers to make sure that at high rates of loading, especially impact, the snubber would provide very high resistance to movement. And, the drag test was performed to make sure that at low speeds they provide very low resistance to movement. Do you see a need for hydraulic snubbers in your plant? Let us price them for you today!